Cape Coast Castle, originally uploaded by nobodaddy69. The unspeakable echo of skulls. 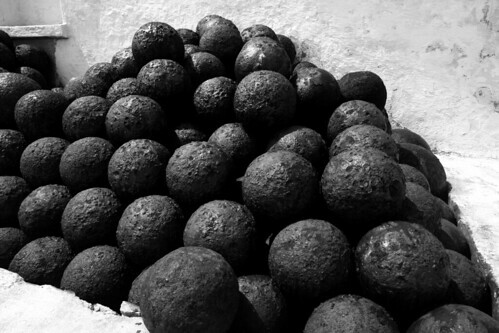 Old cannonballs piled up at Cape Coast Castle..